When I woke up with a bad cold on Wednesday morning I wasn’t surprised. As far back as I can remember, I always get a bit sick during the holidays. Nothing serious but it’s like as soon as I allow myself to relax I catch something nasty. Although I was not very happy with the prospect of being sick around Christmas, I was looking forward to the four days off starting today! And today was a perfect day to be a little bit sick and stay in bed: cold and rainy! However, I woke up in panic when I remembered that I had a very special mission today: write a post for Sparrow in the Tree Top! I’ve never been very big on Christmas! Sure, I enjoy seeing friends and family being excited about the Christmas spirit but nothing more than that. I would enjoy decorating when I was with someone who loved it but in the last few years I never put up any Christmas decorations at home. This year, I made a minor exception when I put up some traditional Swedish Christmas lights in my windows. Sparrow in the Tree Top, on the contrary, seems to be embracing the Christmas spirit to the maximum. Go visit her blog to see what I mean 😉 But I would strongly suggest you spend some time looking at all her stuff. It is pretty cool. 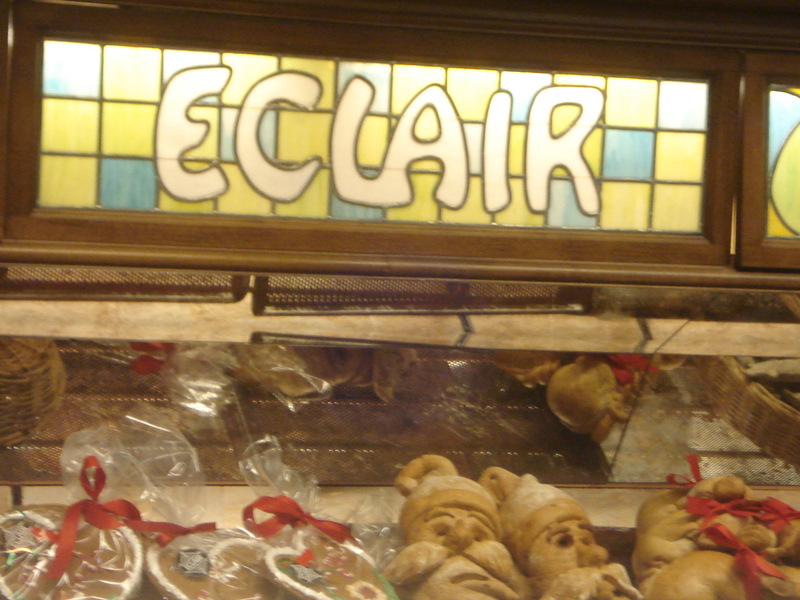 So, when I drove past Eclair a couple of weeks ago I promised myself to come back before Christmas. Here is why! Technically, Eclair is not really a Café. 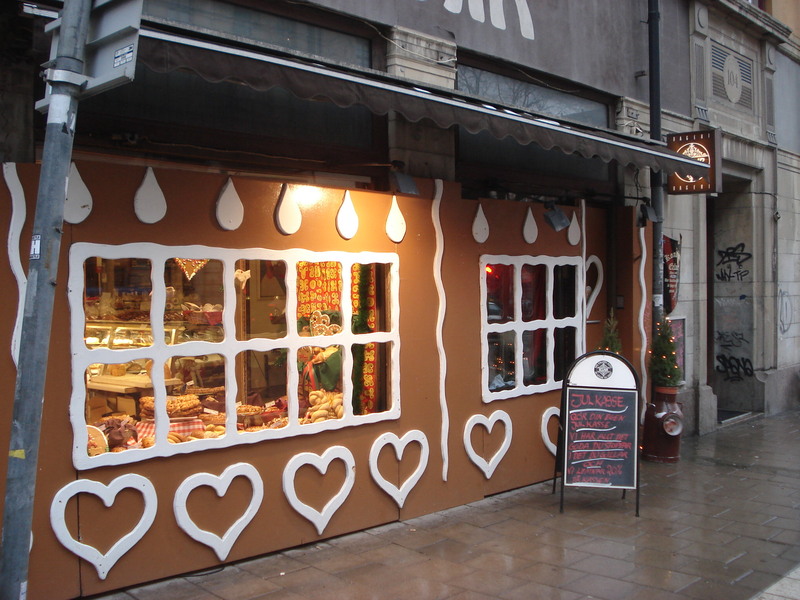 It is more like a bakery, or a Konditori. Like Sparrow in the Tree Top, Eclair is very enthusiastic about Christmas. From the two women behind the counter with Santa hats to everything in the shop. I should probably mention that Eclair only has two tables. 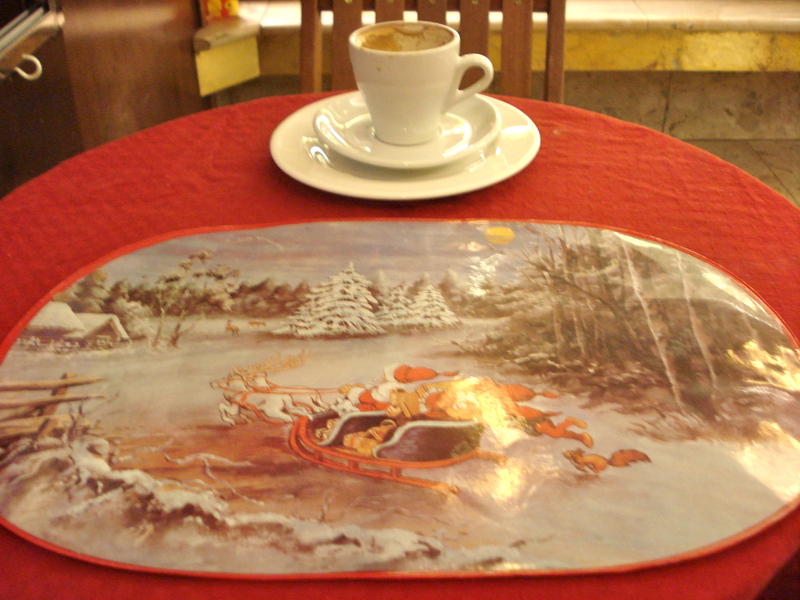 Being a bakery, people usually don’t sit to have coffee, although the coffee was pretty good. 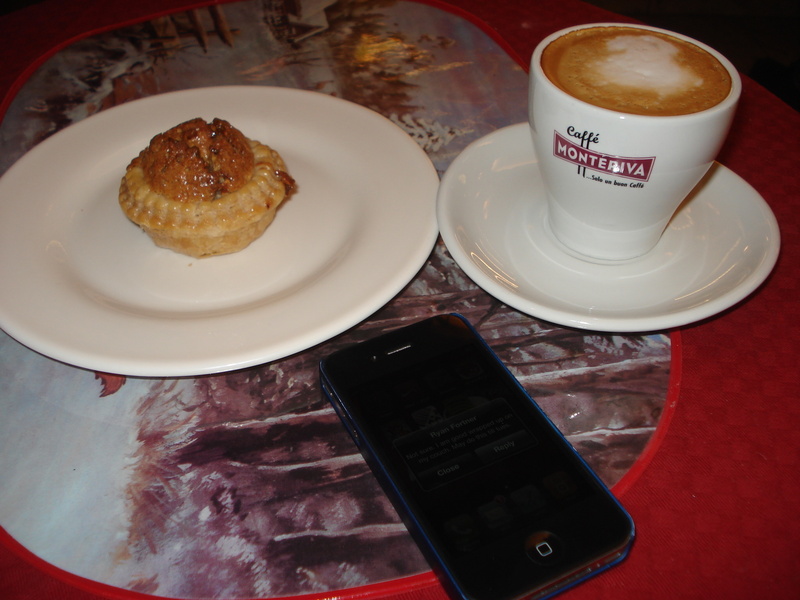 In the pure tradition of my coffee cruising in Stockholm, I also had a nice little nut pastry with my cappuccino! When I walked into Eclair the two women behind the counter seemed a bit bored. But as soon as I sat at the little table by the door, customers wouldn’t stop coming in. I’d like to think that I was responsible for attracting business but the main point here is that it wasn’t great for my cold! 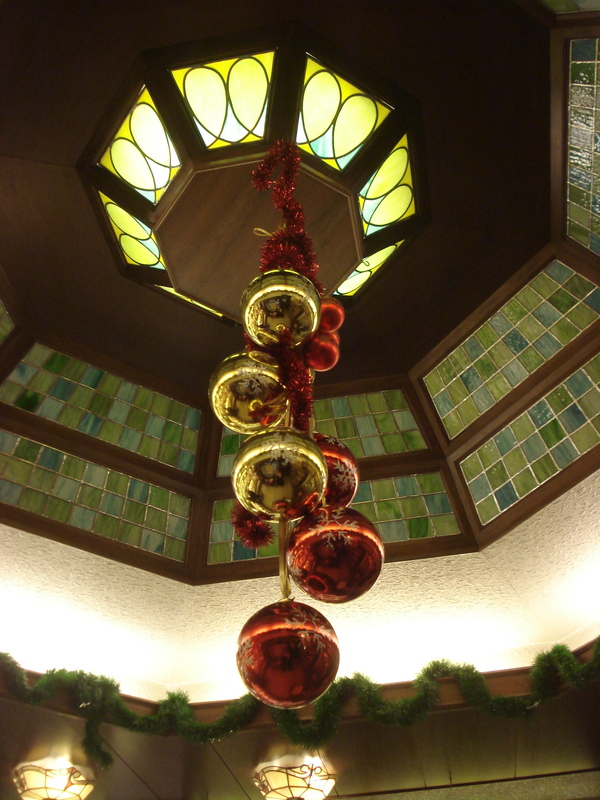 At least I had a nice views on all things Christmassy, from the Santa bread to the Christmas balls from the ceiling. 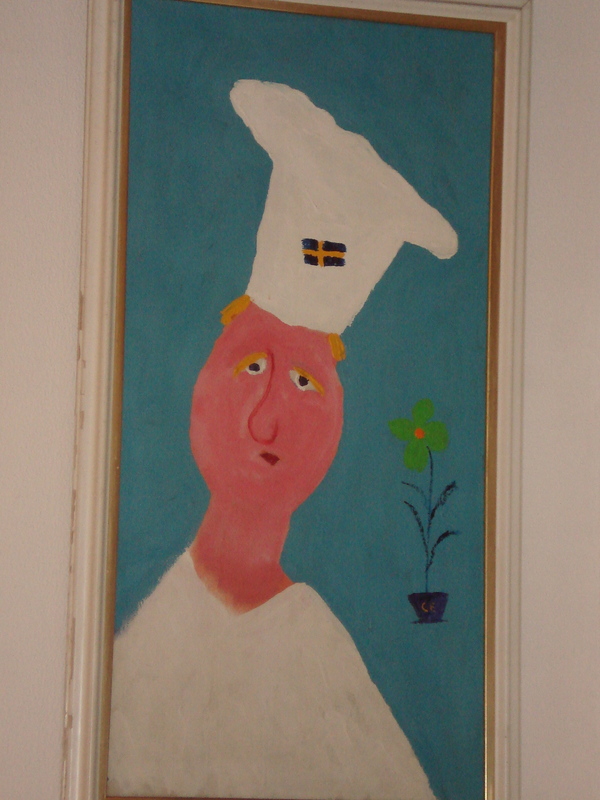 Even though this is supposed to be all about Christmas and Emily, I could not really let you go without seeing Eclair’s version of the Swedish Chef! This entry was posted in Breakfast, Coffee. Bookmark the permalink. I have to say, I’m not quite sure how the Swedes manage to stay so fit with all the good pastries here… I wish I could share with you but I’m sure you will soon find amazing food in Turkey! omgomg omg how did I not get an EMAIL about this?! This makes my Christmas Patrick!!! 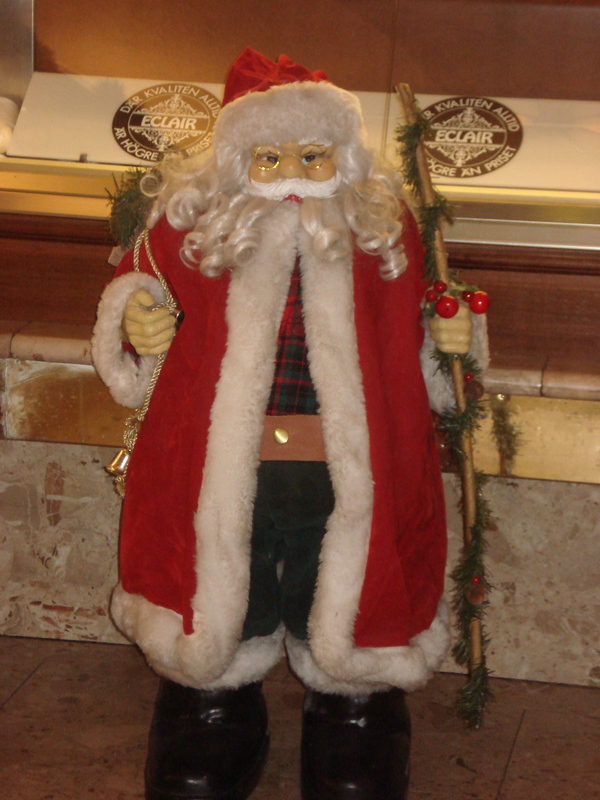 I hope you are having a wonderful Christmas eve and day tomorrow! I don’t know if your ears were burning yesterday but Patricia and I were trying to channel some Patrick into the room at my Christmas party! All my best!! ps. but seriously… why don’t I get emails if I’m subscribed? Ha! I’m so glad that somehow I contributed to your Christmas eve And I’m also happy that I was in your and Patricia’s thoughts at your Christmas party. I would certainly have been happy to celebrate with you! It’s not quite Christmas yet where you are. Hope you get to enjoy the Christmas eve! I managed to have a scotch with my parents on Skype right at midnight (Stockholm time!) … pretty nice! Thanks again for the inspiration mademoiselle Sparrow!